The law recognizes that life has a way of changing over an extended period of time, so divorce courts normally retain jurisdiction -- the right to make rulings -- over custody and child support terms of a divorce decree. You can go back and amend these terms whenever you have grounds. However, you may or may not be able to amend provisions relating to property division or alimony orders. You can amend the custody terms of your decree until your children reach the age of majority. This requires filing a motion for modification with the court that issued your original divorce decree. You may have to participate in mediation first, trying to resolve the change on your own with the help of a neutral third party before the court will schedule a hearing. Courts won’t modify parenting time unless you can establish a significant change of circumstance -- something has occurred since your divorce decree that makes the current arrangement no longer in the best interests of your children. 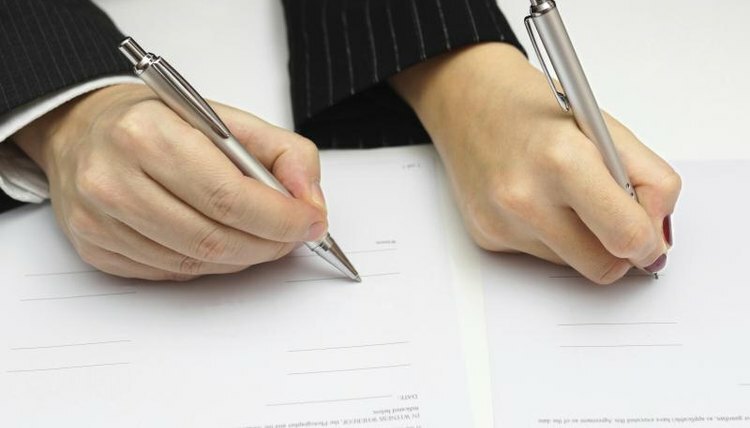 If you and your ex agree that your parenting plan should be amended, you can submit the written agreement to the court and the judge will sign off on it. The new order supersedes the custody terms in your decree. Your ability to amend alimony terms in your decree depends on the language in the document. Some decrees state that alimony isn’t modifiable under any circumstances, while others may set out exact reasons why it might be changed or terminated. Amending child support usually requires a significant change of circumstances just as changing your parenting plan does, such as one parent is now earning significantly less or more than he did at the time of your divorce. Cost-of-living adjustments to child support are typically automatic -- the judge will tweak the amount by a small percentage based on the current Consumer Price Index or some other barometer. Parents can also amend child support terms by agreement, submitting it to the court for approval, but the amount must be close to what it would be based on your state’s method of calculation. Courts generally won’t allow you to shortchange your kids by agreeing to a minimal amount of support far lower than state guidelines. You typically can’t go back and change the property terms of your decree, but some exceptions do exist. Depending on your state’s laws, you may be able to reopen your divorce case to address property issues if you can prove that your spouse committed fraud, either lying to you or to the judge about a fact that is integral to the proceedings. Otherwise, your decree’s property terms are enforceable, but not modifiable. For example, if you agree -- or the judge orders -- that your spouse is to receive the marital home subject to refinancing it and buying out your interest, and if she doesn’t refinance, you can’t go back to court and demand that the judge give you the house instead. But you can file a motion with the court obligating her to move forward with the refinance or be held in contempt of court or subject to some other penalty. In some cases, terms of your decree might be so egregiously unfair that you’d want to appeal it. Filing an appeal moves your case out of family court and puts it in the appellate court. You can’t appeal simply because you don’t like terms the judge ordered. You must have a specific legal basis, such as the judge misinterpreted the facts of your case or inappropriately applied the law. Appeals are very difficult to prove and win, so you’ll probably need the help of an attorney. Nolo: How Can I Change a Child Support Order? Bird, Beverly. "How to Amend a Divorce Decree." , https://legalbeagle.com/4431952-amend-divorce-decree.html. Accessed 25 April 2019.